A cardiology expert explains how heart health is directly affected by too much or too little weight — as well as how little change is necessary to make a big improvement. 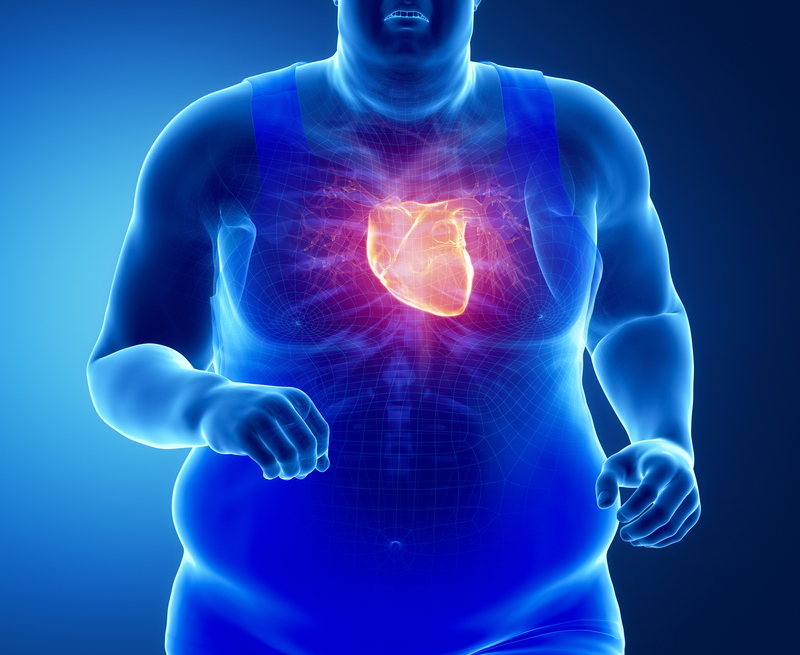 We’ve all heard that being overweight is bad for your heart. But being severely underweight seems to be just as bad: Heart disease is a common complication — and even cause of death — in people with anorexia. How is your heart health directly affected by your weight? Steven Nissen, MD, Chairman of Cardiovascular Medicine, explains in this Q&A. Q: Why is being overweight bad for your heart? Increased body weight causes high blood pressure, which is a risk factor for heart attack, stroke and sudden cardiac death. Increased body weight is also linked to high cholesterol, specifically high triglycerides and low HDL (“good” cholesterol), which plays a key role in heart disease. Being obese means you’re much more likely to get diabetes, another risk factor of heart disease. Fat cells, particularly those in the abdominal area, are active metabolically. They cause inflammation in your body. We can measure this inflammation by the amount of C-reactive protein in your blood — yet one more risk factor for heart disease. All of these factors — high blood pressure, high cholesterol, diabetes and inflammation — come together, creating a constellation of physical abnormalities associated with heart disease. Q: Why is being underweight bad for your heart? A: This is more controversial. Some medical research suggests a bit of an increase in heart disease as you become more underweight. But many of us think it’s not directly correlated. People with low body weight, a body mass index (BMI) below 18, may already be sick and not eating because they’re unhealthy. Weight loss is often one of the first signs of cancer, for example. Patients with anorexia can have various health problems, including heart disease, because they are malnourished. From that perspective, it’s not the low weight itself that’s bad for the heart. Q: How much variation from normal BMI matters for heart health? A: A normal BMI, between 20 and 25, is healthiest. Risk of heart disease increases as BMI increases. A BMI of 25 to 30 (considered overweight) has a higher risk. A BMI of 30 to 35 (considered obese) is even higher. A BMI higher than 35 comes with a serious risk. But it’s not just BMI that matters. It’s also where you carry your weight. Carrying excess weight around your abdomen (having an “apple” shape) is associated with heart disease more so than carrying excess weight in your hips and thighs (having a “pear” shape). Overweight men tend to have an apple shape and overweight women a pear shape. Overweight people with a pear shape are less likely to have the metabolic problems — such as diabetes and high blood pressure — linked with heart disease. This is why waist-to-hip ratio may be as important as BMI. The higher the ratio, the greater your risk of heart disease. There’s no such thing as being “healthy overweight.” But you’re even more unhealthy if your pattern of obesity involves a high waist-to-hip ratio. Q: How much change in weight does it take to improve heart health? A: Not much. Losing just five to six pounds can lower your blood pressure by 5 mmHg. Reducing your body weight by just 2 to 5 percent (4 to 10 pounds in a 200-pound person) will raise your HDL and reduce triglycerides by as much as 20 percent. Even a modest amount of weight loss makes a big difference, including risk for diabetes and inflammation. The U.S. has a societal problem with obesity. Our steady decrease in heart disease during the last 20 to 30 years has been stalled by the current obesity epidemic. However, obesity happens over time. It’s not uncommon for a 160-pound young man to become a 240-pound middle-aged man. We need to recognize weight gain as it’s happening gradually and stop it before it gets out of control. Most people can lose five pounds in a month or two, but losing 20 to 30 pounds can seem daunting. If You’re ‘Fit But Fat,’ Do You Really Need To Lose Weight?